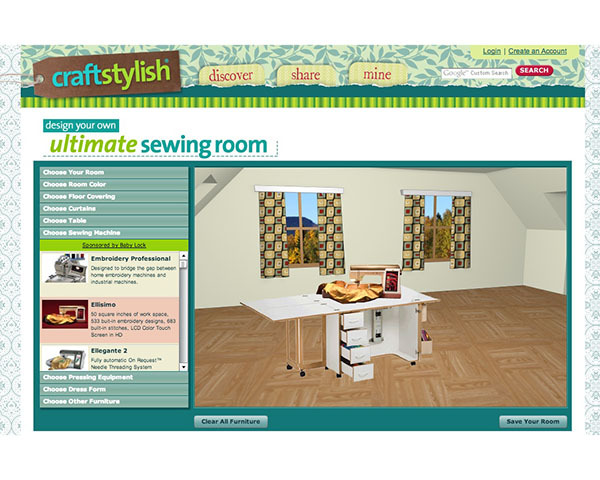 A Flash-based game that allows entrants to design a sewing room from a choice of decor options including furniture and equipment from the game’s sponsors. I created all the art for the background and incorporated photos from the sponsors. The game has proven very successful, with over 5000 entries in less than a month, greatly increasing the site’s traffic and memberships.